Church of God. 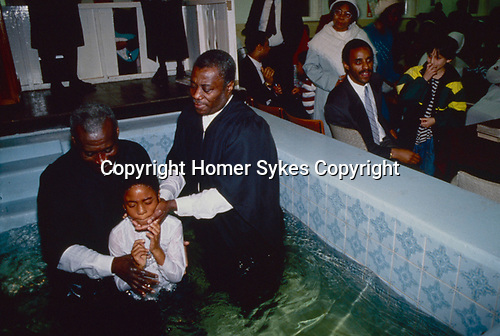 In the church hall at Tubbs Road london the pastor and his assistant baptise a young boy. As in most 'born again' churches candidates make their own decision to be baptised by full immersion in the name of the Father , Son and Holy Ghost.